​Justin Flinner, L.Ac., M.Ac., Dipl.Ac. 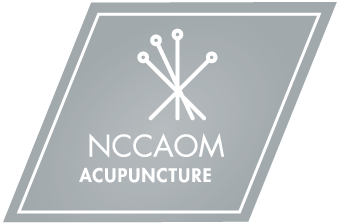 Justin is a National Board-Certified and Licensed Acupuncturist in Washington, DC and Virginia. He opened My Metro Medicine in 2013. Justin's vision for creating My Metro Medicine is to bridge the gap between eastern and western medicinal practices that undoubtebly work well together for the benefit of the patient. His experience includes lecturing at Maryland University of Integrative Health (MUIH) and Virginia University of Oriental Medicine (VUOM) on the topics of orthopedics, Tai Chi, QiGong, and other Oriental and Western medical practices. He is a graduate of MUIH with a Masters in Acupuncture, and he received his Bachelor's of Science in the field of Exercise and Rehabilitative Sciences from Slippery Rock University in Pennsylvania. (Go Steelers!) Justin is also a multiple-time national champion in Chinese Martial Arts during his 20 year career in practicing and teaching. Justin has always been at the forefront of the healthcare community treating patients, interviewing experts, writing articles, training martial artists, and educating his patients and the public on what it means to live a life of good health and one full of passion. On the public health front, over the last 10 years, Justin has delivered seminars and taught courses on health-related topics to thousands of people across the metropolitan area, including the U.S. Department of Justice, U.S. Department of Education, International Monetary Fund, The World Bank, the Federal Reserve, and the Securities and Exchange Commission. On a more personal note, Justin is the father of two beautiful children and the husband of an extraordinary wife to whom he owes more than a lifetime of gratitude for her support. He has traveled across parts of Asia, enjoys learning languages, and has a deep passion for music. And, if you like philosophy and a good cup of coffee, he love to have you join him!